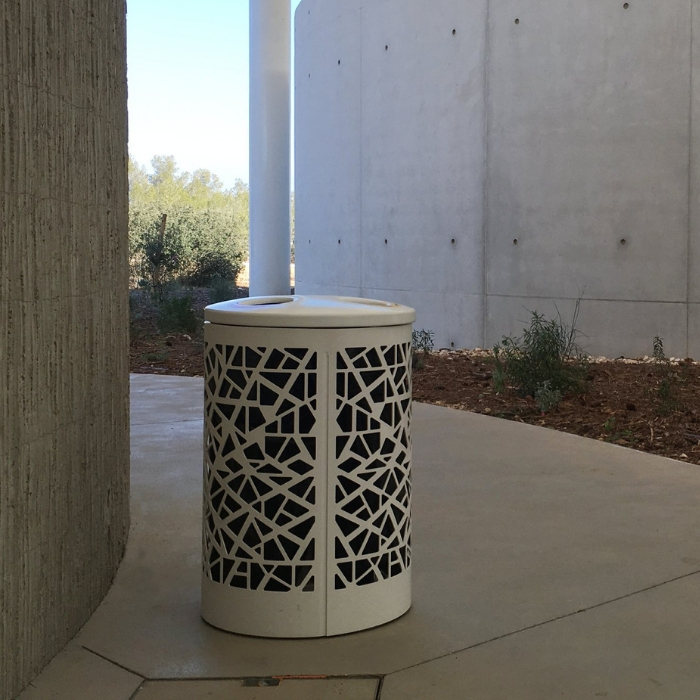 The Marco Boom Litter Bin is designed for the categorised collection of rubbish, divided internally in three segments by steel sheet panels and welded to a central tubular steel support. 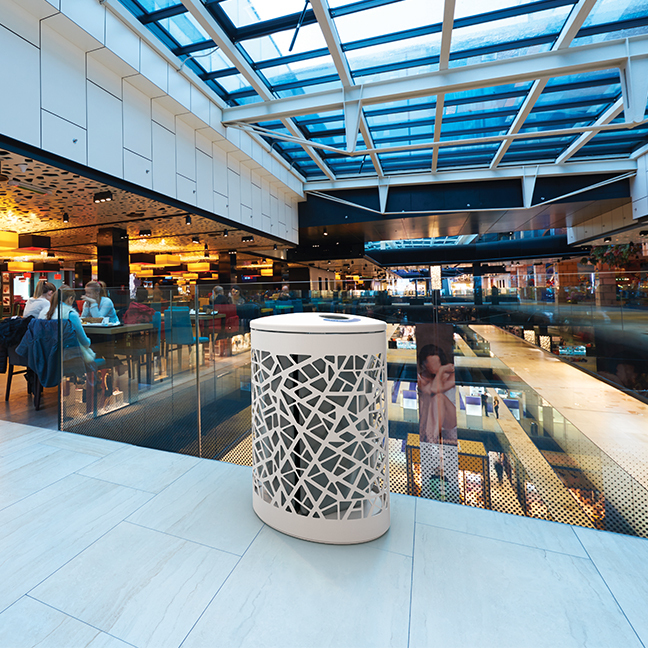 Sturdy cylindrical outer structure is available as either an intricate laser-cut design or micro-perforation design. 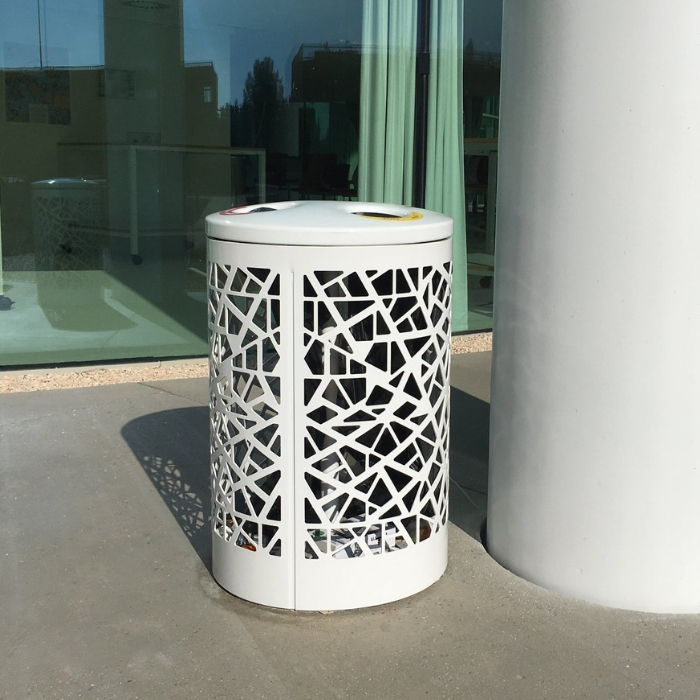 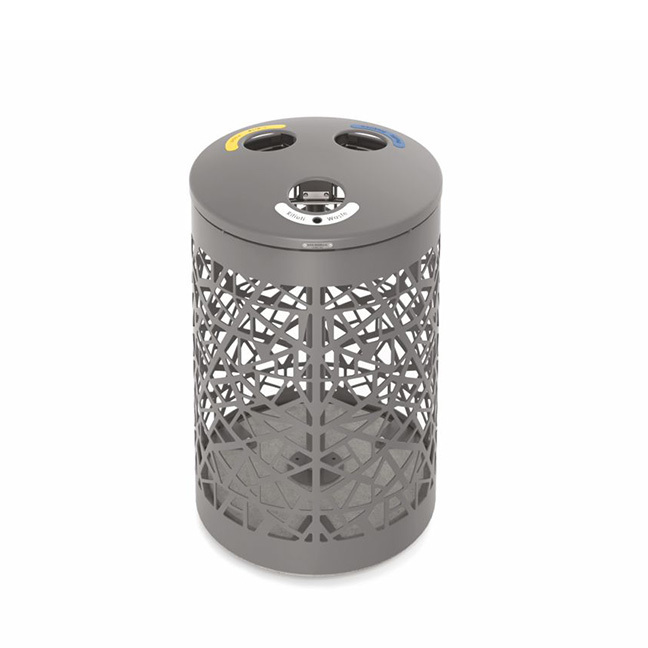 The litter bin features a flat base and an openable cover, equipped with an ashtray and three holes of different colours to sort the waste accordingly. 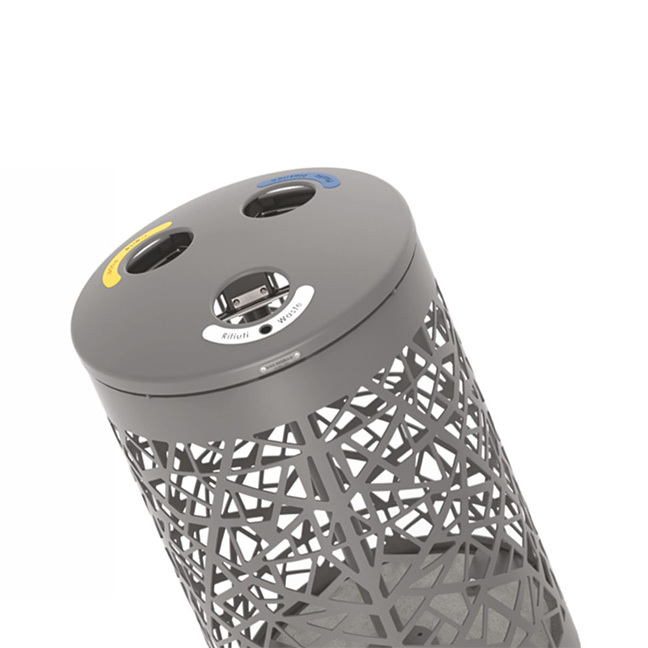 Each section is equipped with a mobile ring to fasten the bags. 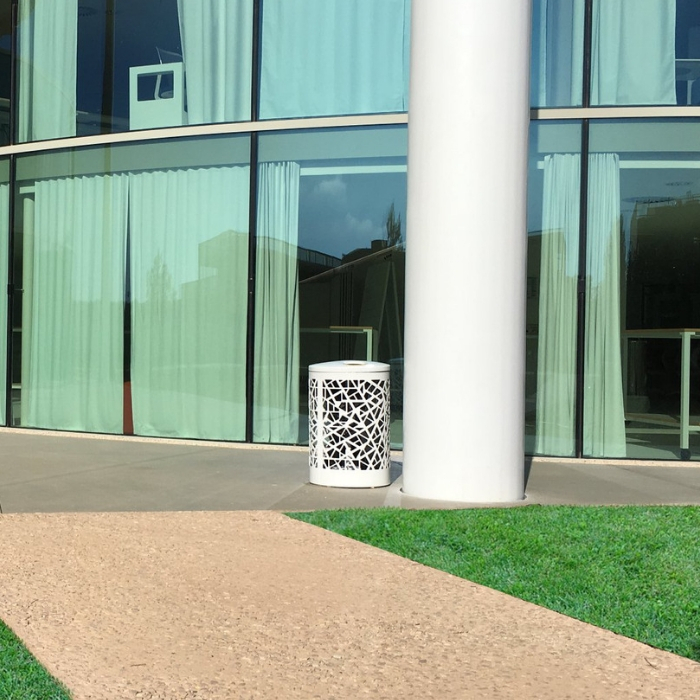 Pre-drilled for anchors.